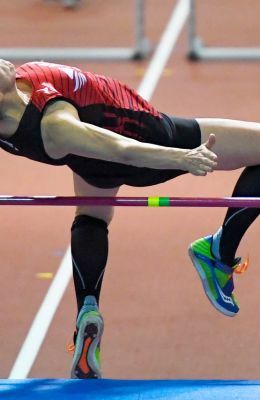 Julia Curran-Villarreal is a three-time USATF women's 55-59 Masters National Champion After a 35-year break from her favorite high school sport of track & field, Julia returned to competition in 2013 at the age of 53 and now competes in the high jump, hurdles and pentathlon. Since restarting her competitive track & field career, Julia has been consistently ranked in the top ten in the USA for her events. Follow her journey on @juliajumping on Instagram and www.now-itgetsinteresting.weebly.com.